There is a fairly large contingent of civil servants who are products of nineties motocross. This really shouldn’t come as a surprise, since firefighters and law enforcement officers utilize many of the same skills required to be successful in racing—or life itself, for that matter. I started down the fire service career path way back in 2009 while I was still managing the Troy Lee Designs race team. After several years of fire training and paramedic school, I found my home at San Bernardino County Fire. I raced at the Ranch in 1990 and 1992, winning a 125 B modified title along the way and getting DQ’d by DC and big Dave Coombs that same year in the stock class. You can read all about that in my next Electronic Ping column in Racer X Illustrated. Another racer-turned-hose-dragger is Ohio’s Joe Oehlhoff. If you followed racing from that era, you knew him as “Working Class” Joe, one of the more solid privateers at the time. Munn Racing and Subway Honda were a couple of the teams he rode for along the way. Joe went to Loretta’s in 1993 and 1994. The interesting part here is that Joe ended up getting hired at the same department as me at the same time. We are both members of SBCo Tower 5 and, although we work in different divisions, we still bump into each other from time to time. Remember the name Turbo Reif? Turbo was a top privateer prospect in supercross and motocross for years and raced Loretta Lynn’s in 2000 and 2001. He eventually made his way to arenacross, where he made his largest impact. After racing, Turbo got hired with Santa Barbara County Fire, and he still shows up at some of the fire and police races in Southern California. Two-time 125 supercross champion Damon Huffman is now a motorcycle cop for the LAPD. The department’s longtime chief, Charlie Beck, is an avid motocross fan, and he helped steer Damon in the right direction in his quest to protect and serve. Damon was a Team Green phenom (pronounced fuh-NOM, if you’re Kenny Watson) and as a kid, and he racked up a title at the Ranch in 1991. 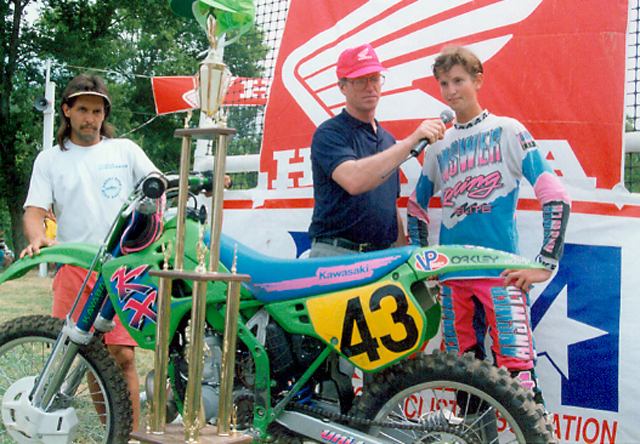 He went on to score back-to-back 125SX West Championships as a pro. Other law enforcement standouts include Travis Baker, who got hired with LAPD, then switched to Riverside County Sheriffs and finally landing at the Murrieta Police Department. 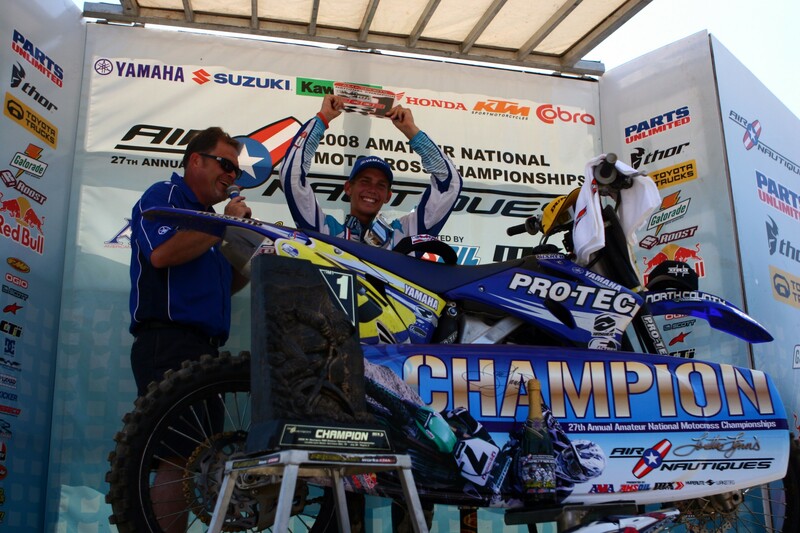 Travis was a member of the TLD/Honda team in his pro years and made appearances at the Ranch from 2005-‘09. It is worth noting that Travis has grown a very respectable mustache and enjoys eating donuts. Surely there are many more who have raced through the Loretta Lynn’s system before turning in handlebars for badges and hoses. The Loretta’s program is a tough one to merely even qualify for—the kind of dedication it takes to succeed in Tennessee can do great things when applied off the track as well.